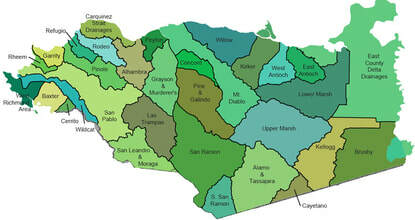 Contra Costa RCD (CCRCD) is a medium-sized district in the Bay-Delta region, and one of the few RCDs with a strong urban center. In this spotlight, we focus on their work with urban agriculture. Through fostering urban agriculture in their district, CCRCD also addresses equity, inclusion, and youth engagement in conservation and natural resource management. Urban farming has received an upwelling of support in the past few years from community members who see it as an opportunity to reconnect with their food system while increasing green space and community hubs right in their neighborhoods. Despite the support, urban farmers face a litany of challenges unique to their urban environment. The high cost of land makes it difficult for farmers to acquire property, and once in possession, they face razor thin margins to be able to pay high costs for rent or mortgage. Many urban farms are growing food on land that has never been cultivated before, requiring additional expense to prepare the soil and set up infrastructure — all before the first harvest. Plots usually aren’t larger than a few acres, and the smaller economy of scale means that farms rely on costly hand labor rather than cheaper machinery. However, urban farms’ proximity to residences, schools, and businesses put them in a unique position to connect many people to their food system, their watersheds, their soils, and the farming profession. CCRCD hopes to help urban farms leverage these strengths even further. In October 2016, CCRCD and USDA Natural Resources Conservation Service (NRCS) teamed up on a mini-grant to reach out to historically underserved populations. With the grant, they raised awareness of Urban Tilth and their North Richmond Farm Stand, as well as attending their ground breaking for their North Richmond farm. 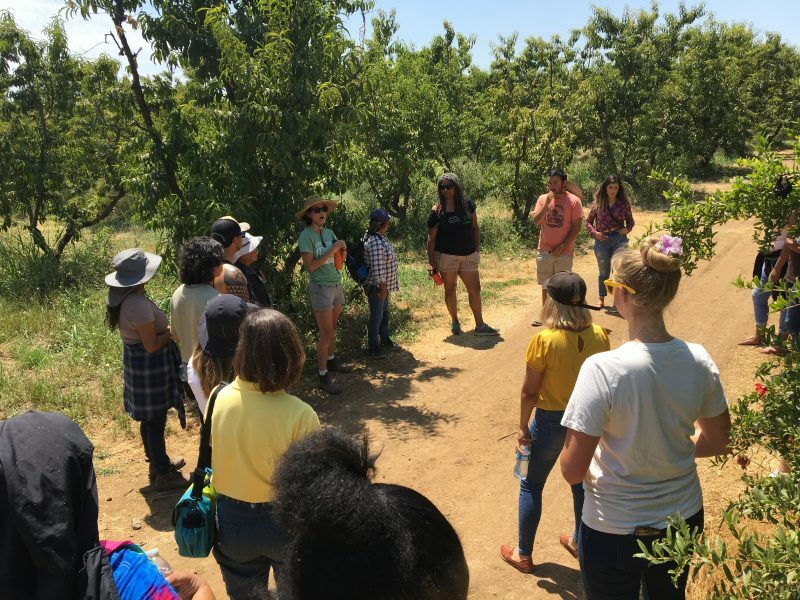 Urban Tilth’s Summer Apprentice Staff leads high-school and college students in West Contra Costa County to maintain school and community gardens. CCRCD partnered with Urban Tilth, the NRCS, and two East Contra Costa County farms to show the staff and students a more traditional approach to farming. On the tour, they visited Frog Hollow Farm, a 240 acre stone-fruit orchard, and First Generation Farms, an 1100 acre diversified farm. Contra Costa RCD is excited by the connections they have already made and see a lot of opportunity on the horizon. They hope to bring families on tours to see farming and to empower young people to grow food. CCRCD says “stay tuned,” as they will have exciting updates in share in the near-and long-term. Next PostNext What were RCDs up to in January?